PM Leary Restoration is a locally owned restoration company who strives to satisfy our customers through an impeccable word and quality workmanship. We provide reconstruction services from water, smoke, fire and mold damage. We have many active jobs going on daily in Clinton, Essex and Franklin counties. • Three or more years of experience. • Multi-talented in all phases of home repairs, including but not limited to window installation, bathroom remodel, additions and much more. • Carpentry and/or drywall and painting. Minor plumbing /electrical skills a plus. • Proven experience as a handyman. • Must work a 40 hour work week with extra hours expected during busy seasons or emergency work. • Well-organized and apt in problem solving. • Exercise independent judgement and actions in performing the duties of this position. • Must be friendly with neat and clean appearance. 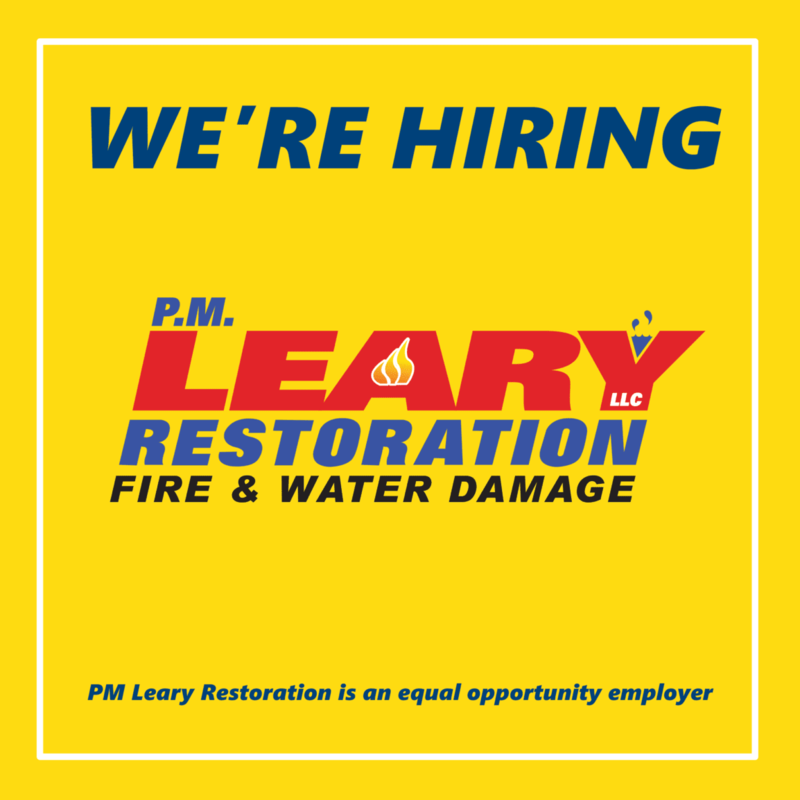 PM Leary Restoration is an equal opportunity employer. Qualified applicants need only apply!